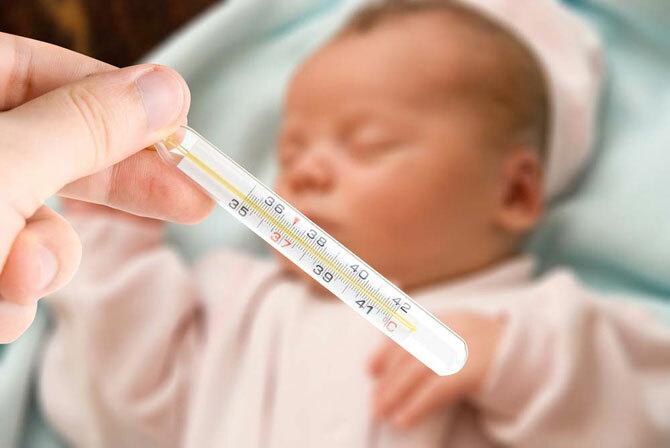 A febrile seizure is a seizure that is accompanied by fever, but not CNS infection, in a child aged 6 through 60 months. Simple febrile seizures are primary generalized seizures that last for less than 15 minutes and do not recur within 24 hours. Lumbar puncture (LP) should be performed only in a child with a seizure, fever, and signs of meningitis (Evidence level B: overwhelming evidence from observational studies). LP is an option in any child aged 6 to 12 months with a simple febrile seizure if immunization status is unknown or insufficient for Haemophilus influenzae type b or Streptococcus pneumoniae (Evidence level D: expert opinion, case reports). LP is an option in a child with a simple febrile seizure who has received antibiotics (Evidence level D). EEG should not be performed in an otherwise neurologically healthy child with a simple febrile seizure (Evidence level B). Serum electrolytes, calcium, phosphorus, magnesium, blood glucose, and CBC should not be performed routinely to identify the cause of a simple febrile seizure (Evidence level B). Neuroimaging should not be done routinely after simple febrile seizures (Evidence level B).